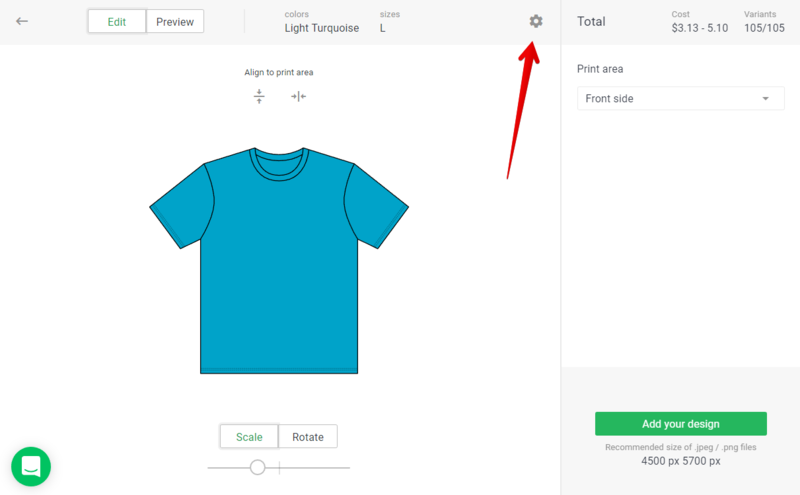 You can select/deselect specific sizes and variants for products you’d like to sell in your store. 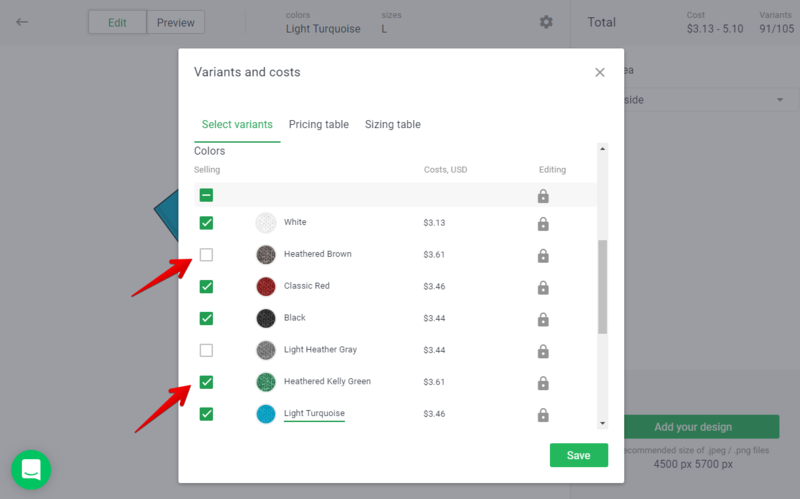 This is an important step because you don’t want to overwhelm your customers with too many options. After you’re done, make sure to save the changes. Also, at times, reducing variants is mandatory. You can find more about this topic in our YouTube guide here.